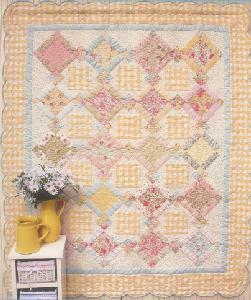 This sweet quilt looks just like it's name - sweet dreams! Make it in your favorite floral fabrics that you are saving for just the right project! Finished size is 71 1/4" x 84 3/4".